In today’s insta-hungry world, it’s easy to get confused about what’s more important – how your food looks, or how your food tastes. You might taste with your eyes but you better make damn sure that acai bowl tastes as vibrant as it looks – you don’t want to cross a displeased G&G staffer. Through trial and error we have discovered the Brisbane cafes that will keep both you AND your followers happy. What’s cookin’ good lookin’? Victoria Park Bistro’s latest breakfast menu will send your Instagram followers into a feeding (and liking) frenzy. See if you camera can handle the heat from an Asian duck salad with fried egg, toasted rice, peanuts and Korean chilli sauce, or werk the runway with lemon meringue waffles with vanilla mascarpone, lemon curd and fresh berries. It’s a look. avocado, dukkah, haloumi & beetroot relish. Good things come in small packages, and Little Clive is no exception. Sip on Vivo coffee as you recline in handmade wooden furniture, and admire murals in this hip, airy space. Not just good decorating, Little Clive also serves up some of the south sides best breakfast and lunch. 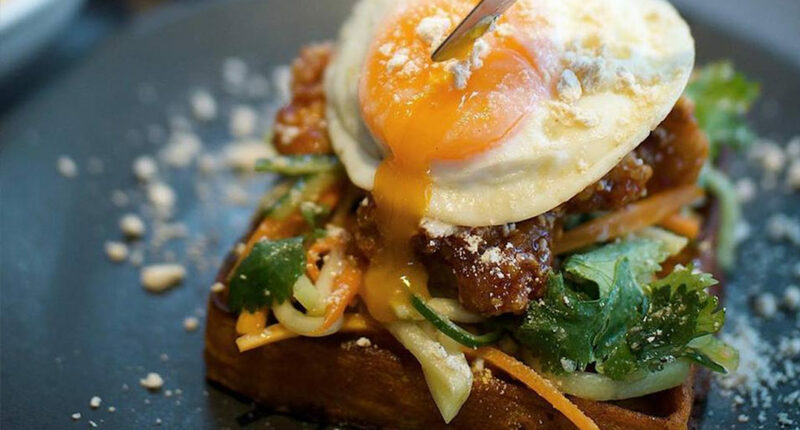 Tuck into on-trend fusion food including popcorn chicken waffles, tiramisu French toast and Korean fried rice, just don’t forget to take a snap! 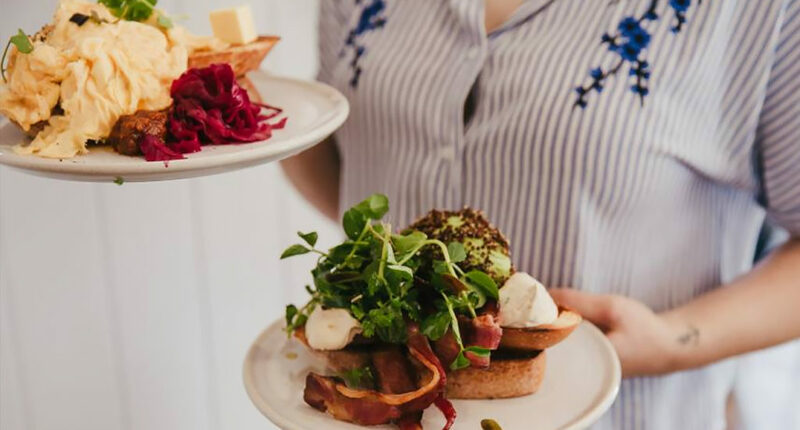 When they’re not up to their elbows in pickles the team at Jam Pantry are flipping some of the hottest breakfasts in town our way. With their monthly menu changes with quirky, seasonal ingredients – you’ll never try the same thing twice at Jam Pantry, making it twice as insta-worthy. 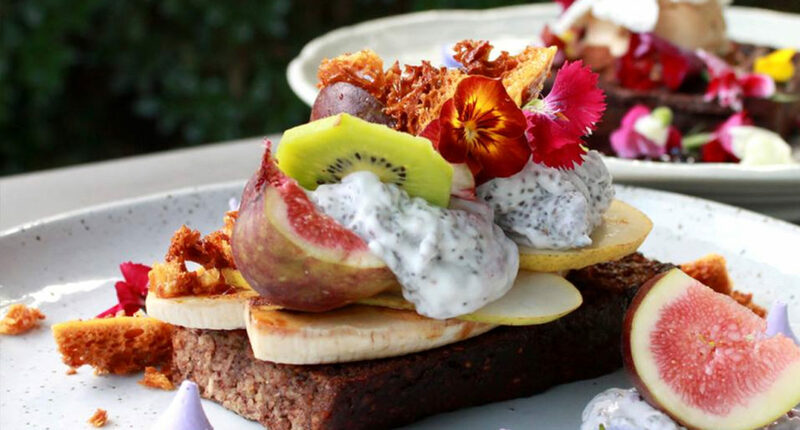 Think award-winning avo toast, beautiful birchers and eggsellent omelettes. White brick, natural light and wooden decor completes this West End café. Start your morning with a handcrafted pineapple cold press while you mull over their mouth-watering menu. Satisfy your sweet tooth with red velvet waffles with meringue and chocolate ganache, or get your comfort on with Bangkok wagyu beef mince, beans, basil, fried egg, sumac yoghurt & roti. Have you met Miss Jones yet? If you haven’t already, there’s a damn good chance you’ve seen photos of this New Farm café plastered all over your feed. From the baby pink walls and neon signage to the towering fiddle-leaf figs, Miss Jones is a sight for sore eyes. Good news for all you foodie fans, the taste matches the aesthetic. 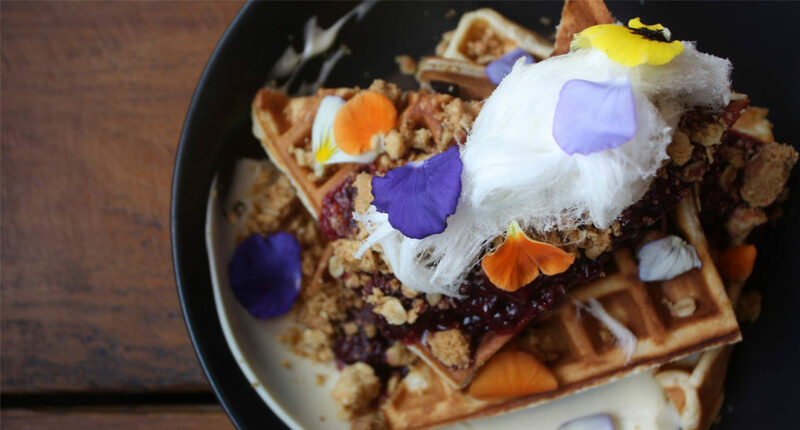 From sweet treats like blueberry and vanilla waffles, piled with honeycomb ice-cream and peanut brittle to roasted pumpkin bruschetta with goats cheese and poached eggs. Happy to meet you Miss Jones! 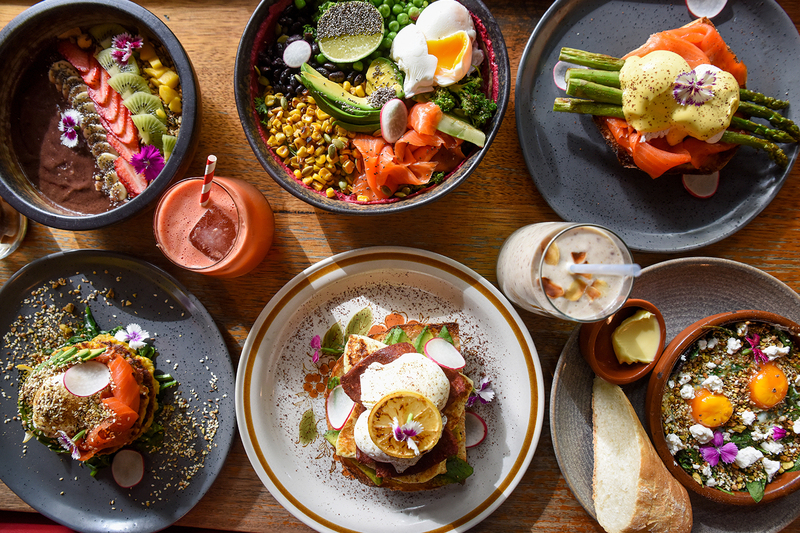 Whether your breakfast tastes are sweet or savoury, sometimes west is best, make the trek out to the ‘burbs to Goodness Gracious. With a focus on nutrition and local, seasonal produce the food is as delicious as the location is adorable. 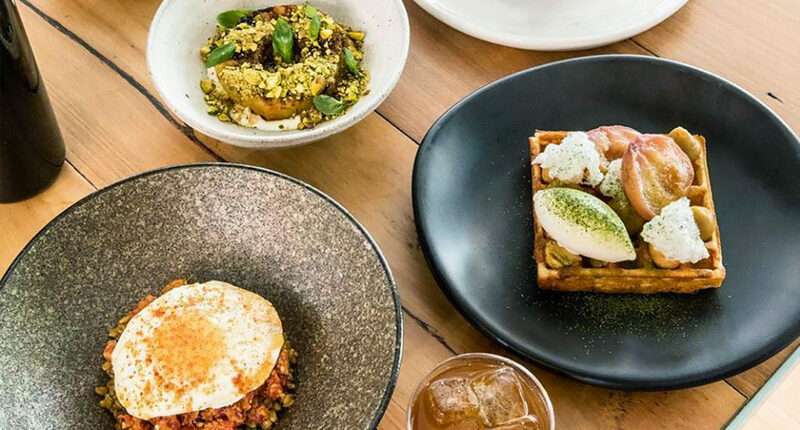 Try the malt and black sesame waffles, piled high with sesame crunch, black sesame panna cotta and seasonal fresh fruits, or pig out on the “Goodness Gracious” with roast pork belly, crushed potatoes, sun-dried tomato, scrambled eggs and sourdough. Sit in the sunny courtyard and get stuck into a red velvet or matcha latte, or freshen up with a juice. It’s no secret that we’re impatient when it comes to food. Forever hungry, forever on the edge of hangry – we don’t like to wait around. Scout is one café we’ll happily line up for, rain, hail or shine if it means getting to sample some of their quality brews and bagels in their converted townhouse space. With exposed brick walls and shabby chic furniture – Scout is the hipster living room you’ve always wanted. While we’ve gotta admit a breakfast of donuts has crossed our mind (and path) several times, it usually ends in shame and self-reflection. Regret no longer! Nodo offers healthy donuts that taste just as great as they are pretty. Up for a more classical feast? Indulge in native crab rolls, milk buns with smoked salmon, kimchi waffles and brisket cheeseburgers while you’re sipping on super natural shakes like maple cold brew and hemp butter caramel. Keep on pouring that sweet, sweet supreme coffee and there’s no doubt they will definitely make our day. And let’s be honest, with space this pretty – and food this good, we’d probably accept international roast. The gorgeous space has timber share tables, more macramé and greenery than you can shake a (hanging) stick at – as well as its iconic neon sign. Not just a pretty face, Day Made also dishes out delicious food from local suppliers, including house-made cacao granola and spiced cauliflower and chickpea on blue corn tortillas. Taking on a modern approach to fermentation and preservation, Florence Café is the perfect spot to enjoy dishes like three-out porridge with rhubarb in rose syrup, rose and pepita brittle, cannoli with vanilla ricotta or fresh corn polenta. Nestled in Camp Hill, this café will keep you feeling cosy while you’re surrounded by potted plants, pickled goods and coffee from Parallel Roasters. Miss Jones’ big sister, Little Loco has been delivering the caffeinated goods to New Farm residences for a while now – but we never get sick of their perfectly brewed coffee or seasonal menu. Your followers are going to froth over your hashtags when they see the snaps of your activated charcoal waffles with meringue and strawberry – or your perfectly on trend breakfast poké bowl, set against green plants and wooden decor. Bow down peasants – you’ve just won breakfast. 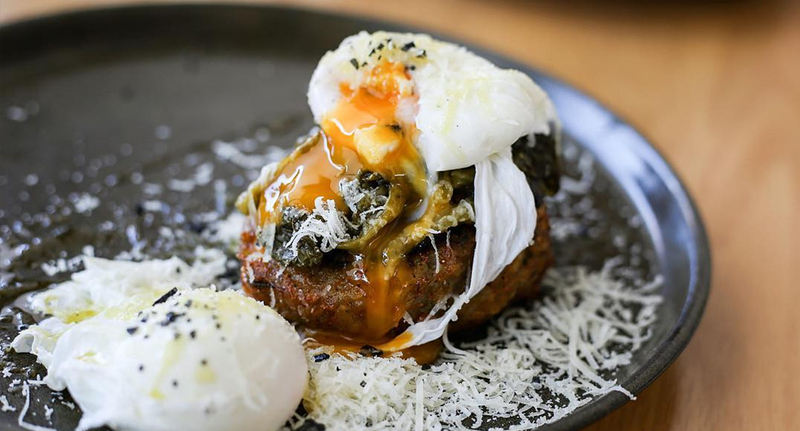 The younger, late-night loving sibling of Sourced Grocer – Gauge is a little slice of inner-city, contemporary paradise. With an ever-changing inventive, seasonal menu, a modern wine list and damn good coffee – Gauge is no one trick pony. Our pick? If you try one thing from Gauge let it be the black garlic bread with brown butter and burnt vanilla. Trust us, you’ll hit that sought-after 1k in no time. Rainbow coffee, pink pitaya panna cotta and golden gaytime hotcakes are the norm at this foodie paradise. Bringing a couple of furry friends? Treat your pup to a lactose free puppy chino or puppy ice cream if they’re panting for a bite of your popcorn chicken waffles. So get snacking and get snapping – we’re got hashtags to spam and pics to spare. - The gourmands who eat with their EYES.